One of the things that happened to me while writing this book is that I came to have a strange fondness for the South Bronx. I lived so intently in my fictional version of Mott Haven that I know the streets of the real one by heart. Readers will remember the Bronx Kill, even if they don’t know it by that name: Letitia didn’t know it by name, so for her it was just that “place down by the tracks where the water got really narrow so maybe they could make it across.” I won’t write spoilers here, but I can tell you that this the point in the book where readers that were hoping for an uplifting YA fantasy learn that I am a horror writer first and foremost, and that very bad things happen to a kindergarten class left to itself during the apocalypse. In real life, the Bronx Kill has been an obstacle to Bronx residents for generations. Randalls Island, just across the Kill, is a place of greenery and parks, and no one ever bothered to build a pedestrian-accessible bridge to allow people to cross and play. 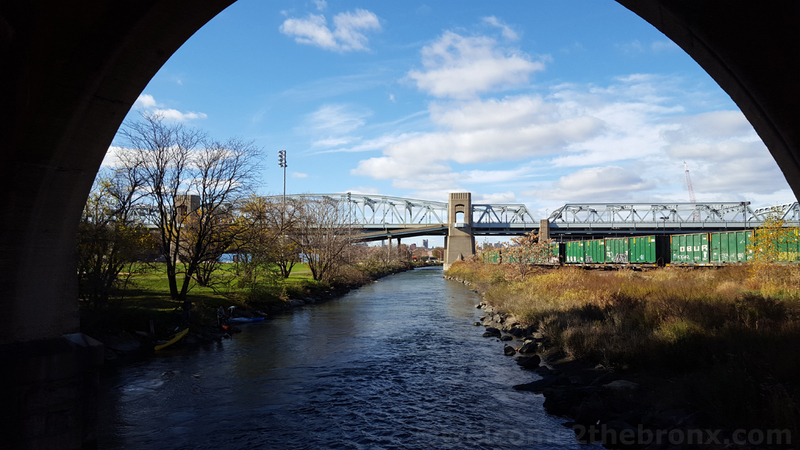 Less than a mile from Mott Haven and Port Morris, Randall’s Island remained out of practical reach until today, as Ed García Conde blogs about at Welcome2TheBronx. It’s nice to see money going to things that benefit actual residents of the Bronx, not just those that think the whole place should be razed and renamed.